They found the specific genes that put us in sync with the day-night cycle. Three American scientists — Jeffrey C. Hall, Michael Rosbash, and Michael W. Young — have been awarded the Nobel prize in physiology or medicine thanks to their research into the biological clock of plants, animals, and humans. In the 1970s, a pair of researchers questioned whether the gene that controls fruit flies’ circadian rhythms could be identified, naming this unknown gene “period.” In 1984, the three Nobel prize-winning researchers succeeded in doing just that, with Hall and Rosbash isolating the period gene at Brandeis University and Young making his breakthrough at the Rockefeller University in New York. The discoveries didn’t end with the isolation of the period gene, however. Hall and Rosbash later discovered that the gene encodes a protein known as PER that builds up in the cell during the night before degrading over the course of the day, serving as a type of clock. Young followed up on the research by uncovering two other genes that play important roles in the process. The first, dubbed “timeless,” helps halt the activity of the period gene, while the “doubletime” gene controls how often the entire cycle takes place. That’s no exaggeration. 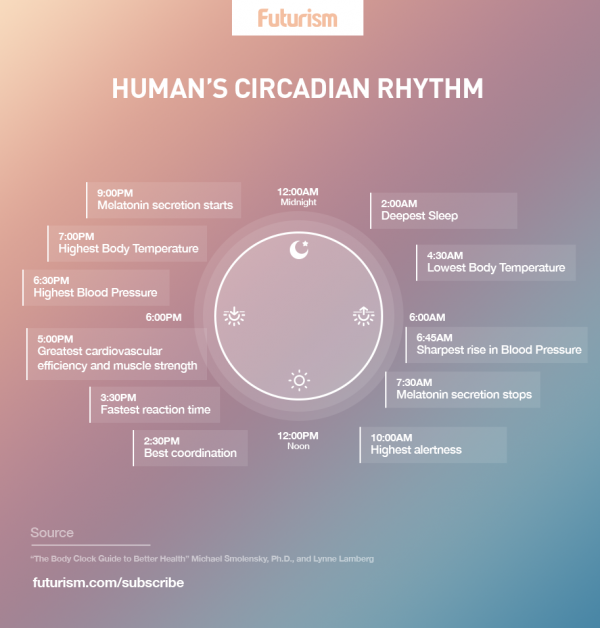 The circadian rhythm can affect behavior, hormone levels, sleep patterns, body temperature, and metabolism, and thanks to the work of Hall, Rosbash, and Young, other scientists are able to delve further into its influence on these core components of natural life. In recent years, one group of researchers found a way to delete a gene controlling the circadian rhythm in mice, causing the animals’ sense of time to slow. Others have found evidence that the effect of infections and even medicine might be impacted by the circadian rhythm, and based on other studies, disruption of our bodies’ circadian rhythm may be tied to everything from obesity to cancer. Whether our circadian rhythm is being affected by genetic defects, environmental factors, or something else entirely, a better understanding of our internal clock can have a huge impact on our health, and we have Hall, Rosbash, and Young to thank for their invaluable contributions to this field.